A man returning home from church is one of the latest victims during an especially violent month in Baltimore City. The man was shot outside of his northwest Baltimore home at around 10:30 p.m. Monday. Sally Yancey-Boodram had just put her feet up when she heard two gunshots. "I looked out the blinds right there and he was laying on the ground," Boodram said. 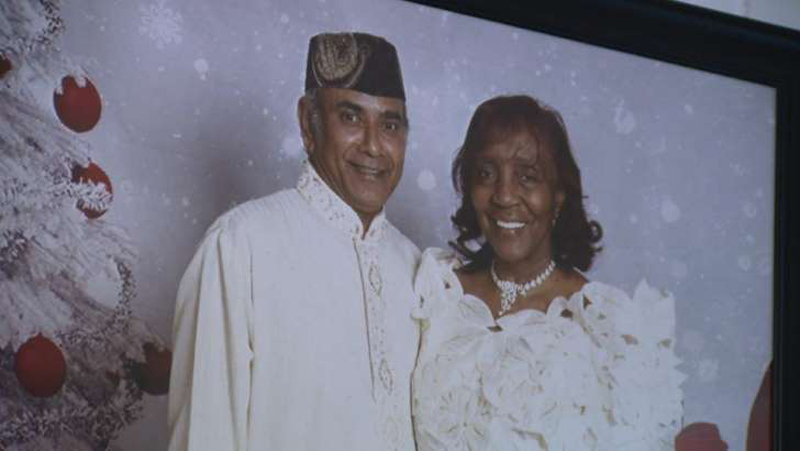 Her husband, Ganesh, 61, was outside, on Fairfax Road, getting items out of the car when, suddenly, he was bleeding and terrified. "He said, 'Sal, my legs won't move, my legs.' That's what he kept saying," Boodram said. Ganesh was shot in the stomach. Boodram said she knows her "kind and giving" husband has no enemies. "At this point we don't have a motive, but we're hoping that that vital piece of information will come in and help us put the pieces of this puzzle together," said Capt. Jarron Jackson, of the Baltimore Police Department. Ganesh survived surgery, but his legs are paralyzed. He is a contractor and is originally from the West Indies. Boodram, who is a pastor, has faith that her husband will walk again. "People do what they do because they know not what they're doing and I forgive them. But I still want them prosecuted. I do," Boodram said. "See, I have got to love my neighbor as I love me. A lot of people don't love themselves. So that's why they're doing all these things. That's not love." Police are asking possible witnesses or anyone who heard or saw anything related to the shooting to call Baltimore police or Metro Crime Stoppers at 866-7-LOCKUP.